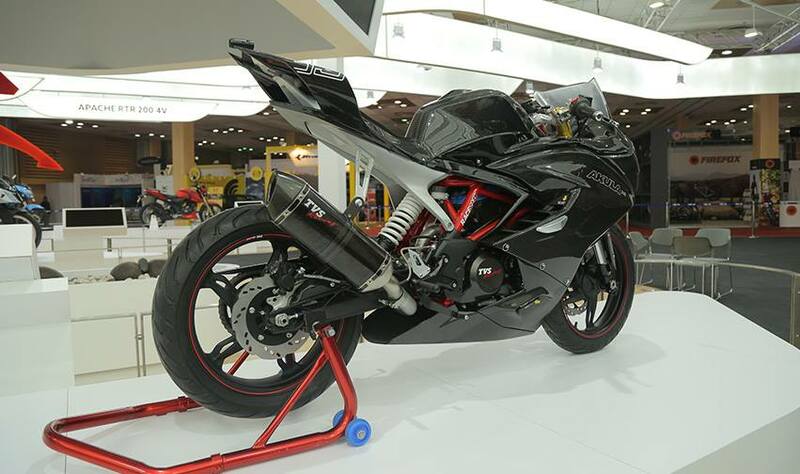 TVS Akula 310 was the most amazing product at Auto Expo 2016. The fully faired version of BMW G310R was made from lightweight components like carbon fiber and shared most of the parts with the street fighter cousin. 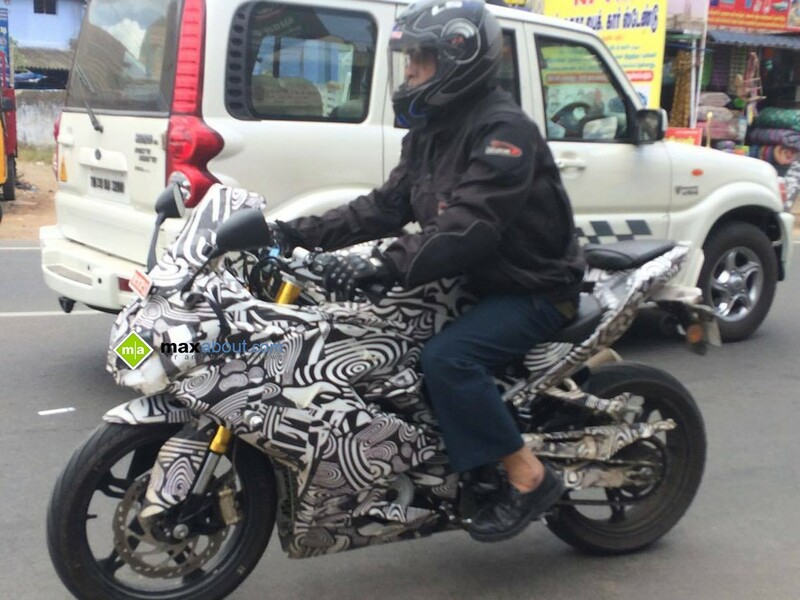 Apart from its concept version, it has been spotted in fiber body, fully camouflaged and carrying the production components in the recent times. 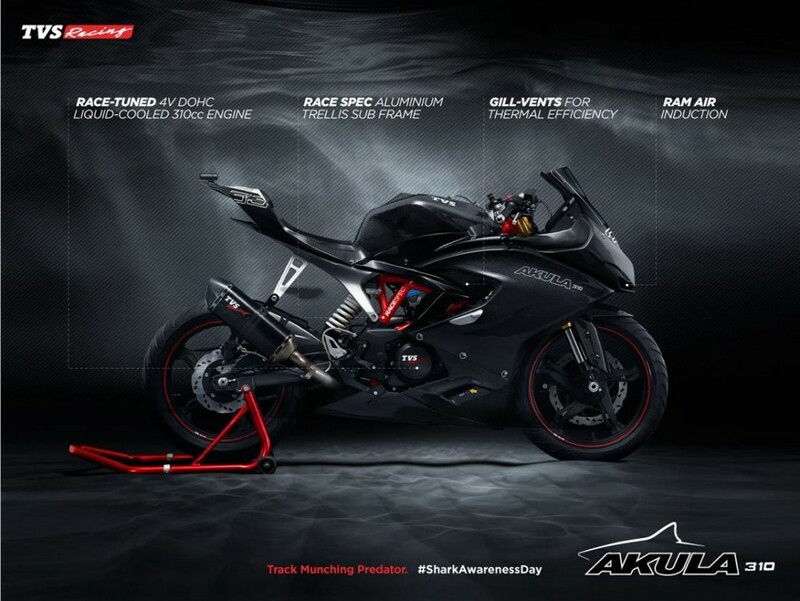 Akula 310 may take the name Apache RTR 300 for its actual version, expected to be launched in February 2017. BMW G310R was developed by BMW in Germany while its production responsibility is being handled by TVS at their Hosur facility. The motorcycle was a pure naked machine with a 313 cc, liquid cooled and fuel injected engine producing 34 HP at 9500 rpm and 28 Nm @ 7500 rpm. 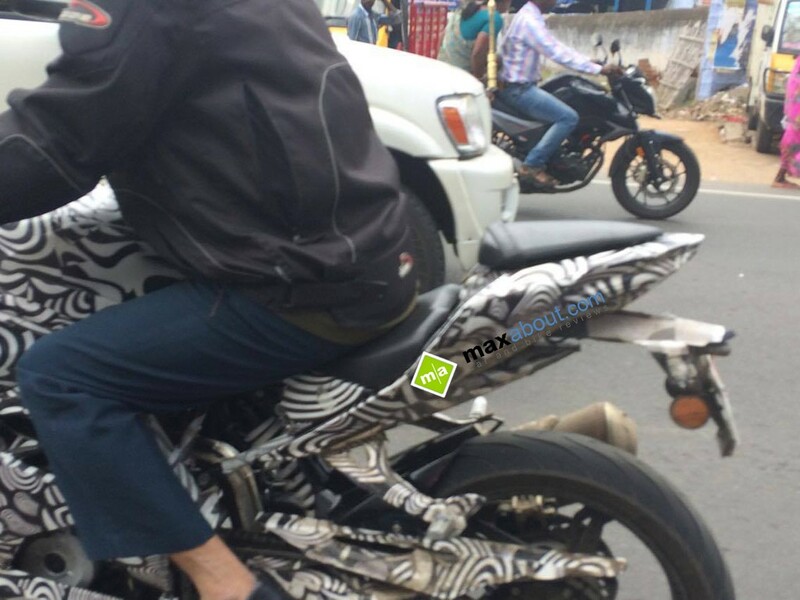 It comes mated to a 6-speed gearbox and uses ABS as standard on the motorcycle. Akula 310 would be nothing different mechanically, using the same engine, chassis, exhaust and most of the components hidden from the eye. The difference would be seen in its design, which is actually quite futuristic and interesting. The front will use projector headlamps while rear would be LED taillights on the Akula 310. 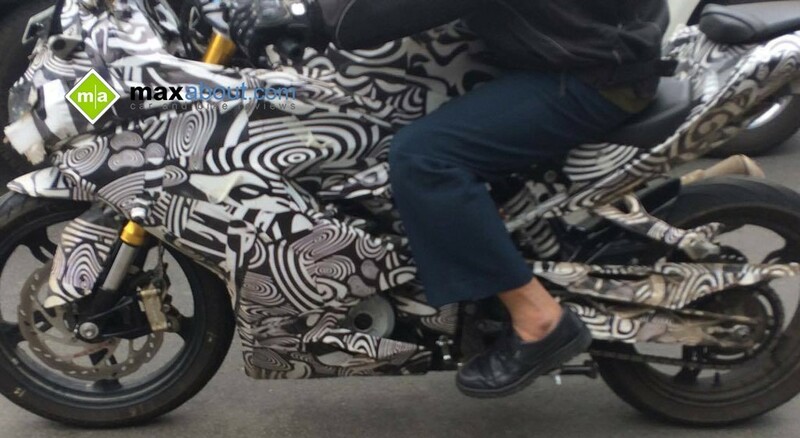 It will weigh a bit more than G310R while its riding position would be more forward biased due to its sport bike nature. 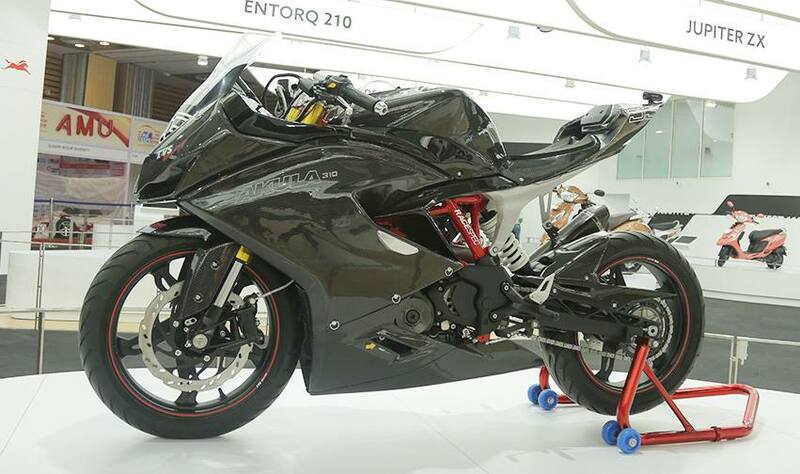 The USD forks and mono shock would be retained from the BMW cousin itself, making it the first TVS motorcycle to use such high extent of premium parts. The handlebars are clip-ons, adding more sport to the already effective design of the motorcycle. TVS may place the bike at double the price of the currently selling RTR 200, making it stand for around INR 1.70-1.90 lakh. 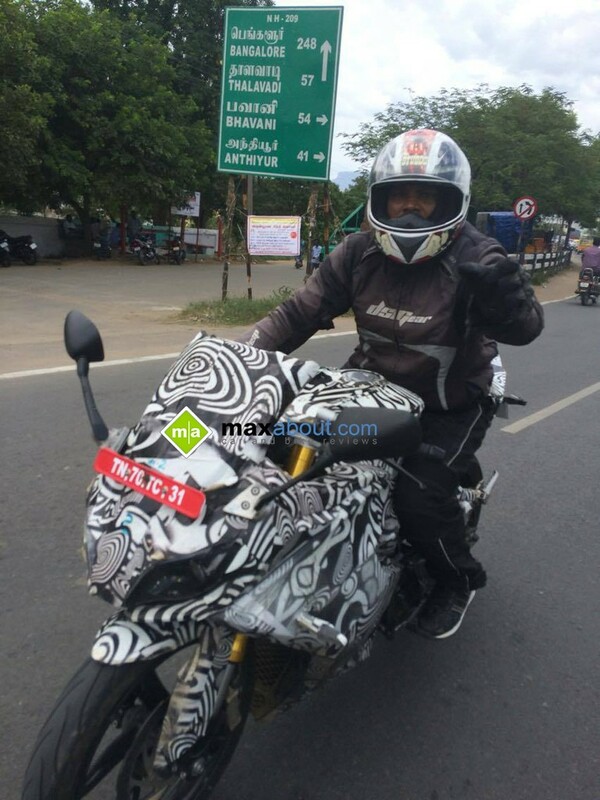 However, the BMW logo on the G310R may cost a bit more, taking the street fighter to a tag of around INR 2.0 lakh. 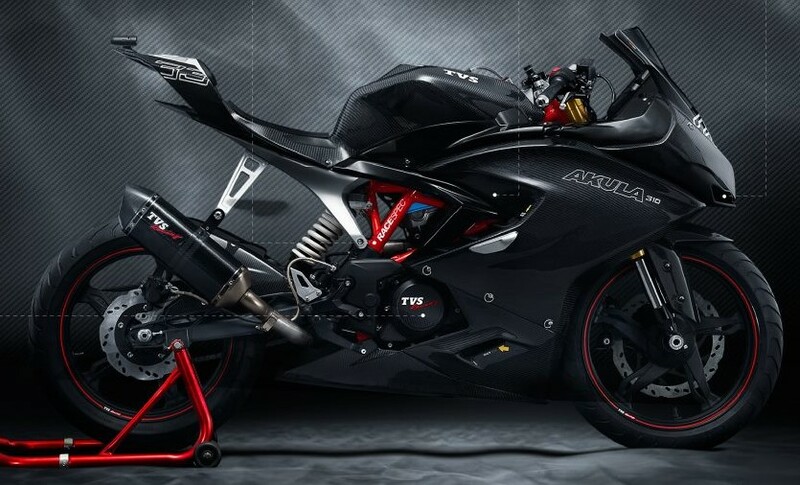 Akula 310 will rival KTM RC200 and Honda CBR250R in the segment primarily while it also takes on the Mahindra Mojo due to expected price similarities.